In a fighting ring, every blow must be answered. The modern car battle has continued to prevail among the designers and the best is in the market. 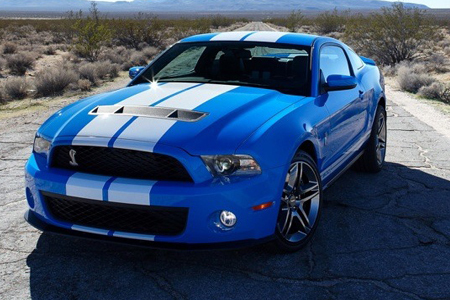 The 2010 Shelby GT500 is what you could be looking for. It is armed with added engine power and elegant and freshened interior and exterior appearance. This is what you have been missing. The right choice could change your life forever. 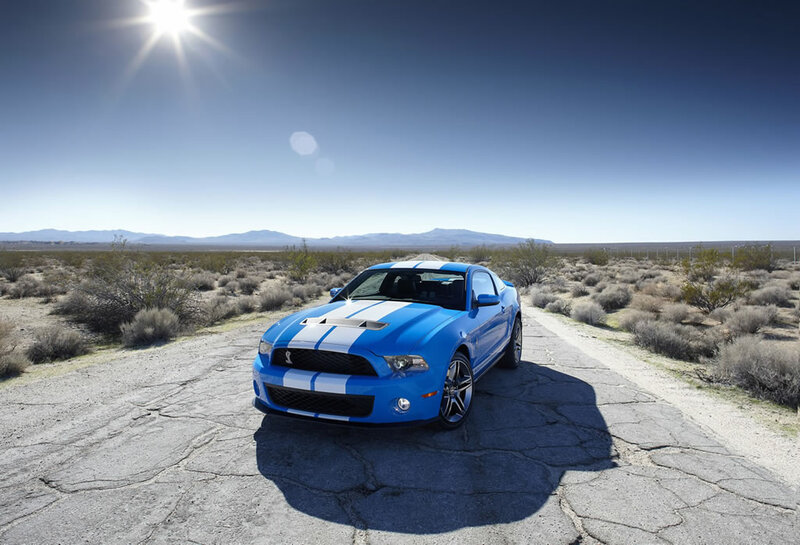 The 2010 Shelby GT500 is a custom upgrade pimped to bring closer the mesmerizing moments you have always desired. It comes with a high supercharged 5.4-litre V-8 engine and displays more aggressive body armor. The chassis is not left alone. It has been upgraded to comfortably achieve a high performance when loaded and also allows for designs to be mounted. You seriously enjoy these features as well as some suspension massaging. The nose of the 2010 Shelby GT500 is very tough and it has scoops in the hood which act as the escape path for most of the heat trapped. To give it the best touch, the aerodynamics of these classy vehicles has been upgraded by the spoiler wings fitted. You can also create a unique look and sound by fitting an overwhelming muffler which also adds power without necessary producing much noise. The wheels of the 2010 Shelby GT500 are made of an alloy of aluminum and are mostly available together with a 19-inch Goodyear. You could also be looking for a big attention from your friends and other motorists and the best way to go is to give it a dose of racing strips. Your full comfort is guaranteed. 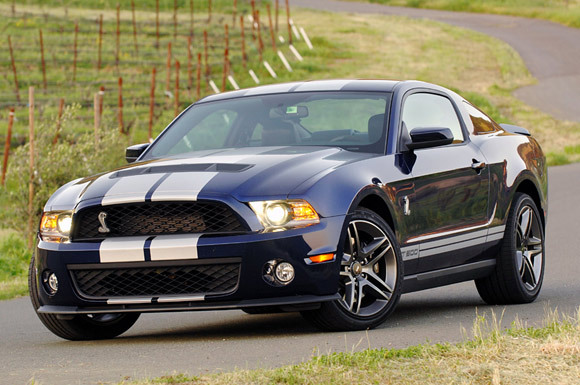 The 2010 Shelby GT 500 provides you with the tuck-and-roll leather seats in various design colors. You can choose either black with some contrasting forming some linear stripes or you can choose white with some linear black stripes. However, silver, blue, and red are the insert color designs to complete that special look you wish. The engine is very powerful and looks very similar to the Cobra Jets which was popular along time ago, but the good thing about it is that it has an amazing torque. The gear box in use is the TR6060 and it has proven to be very quick and precise. If you decide to accelerate, it’s just a kick back into the seat and you fast attain a very high speed within a very short time. It’s advantage to you when overtaking because you don’t have to wait for all the oncoming cars to clear the path. The brake package of the 2010 Shelby GT 500 is fabulous in slowing down with a powerful steering which really makes your ride enjoyable. The engine is charged 49-valve DOHC and has a horsepower of 540hp when it attains a maximum of 6200 revolutions per minute. Unlike other types of vehicles you can enjoy your ride with a 6-speed manual transmission generating a torque of 510 1b-ft when it attains a maximum speed of 450 revolutions per minute. Your ride has never been made easier and comfortable than before. The 2010 Shelby GT500 sound system does it for you. This is the only way to make your friends crave to ride with you.